Short Throw Shifter Puller by Boomba Racing. This is the puller tool required to remove the OEM shift lever in your S550 Mustang. This product is made of high-quality materials to serve you for years to come. Designed using state-of-the-art technology and with customers in mind. It will meet your needs and deliver great quality at an affordable cost. Boomba Racing is a manufacturing company located in Wood Dale, Illinois. Boomba Racing have been manufacturing performance car parts for several years, but until 2004 we’ve been privately labeling them for other companies. Recently, Boomba Racing have decided to market Boomba Racing products under own name. Professional engineers, who use state-of-the art 3D solid modeling software, design all of Boomba Racing parts in-house. Even during the design process, all parts go through the variety of stress tests and simulations performed by sophisticated engineering analysis programs. All of these procedures drastically shorten Boomba Racing design to market time and let us know if the part will perform as expected. All components are also manufactured in-house using top of the line computer numerical controlled machinery. Prototype parts are tested on real cars before they hit the market. Boomba Racing work closely with local performance shops during product development to get the optimal results and valuable user comments before releasing any product. 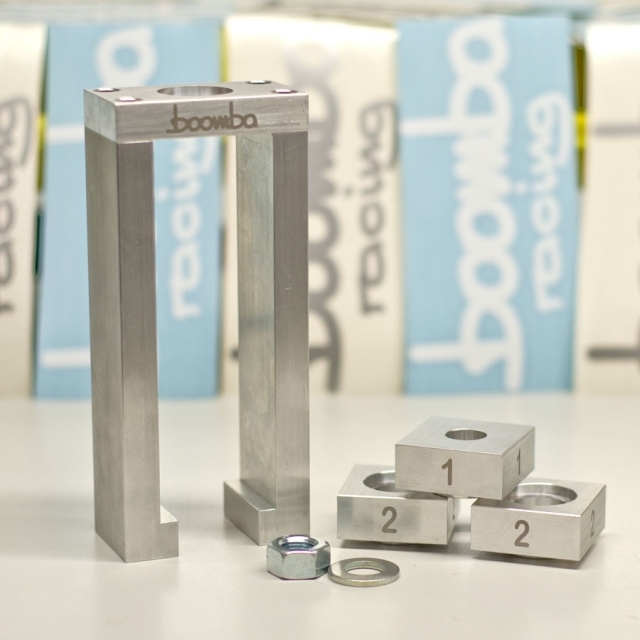 Boomba Racing use only the finest grade of material for Boomba Racing parts. During production runs, Boomba Racing highly skilled quality control unit carefully inspects every part. This strictly supervised manufacturing process enables us to deliver top quality products at bargain prices.